Stitchin At Home: A little Bit of Shopping! A little Bit of Shopping! Nothing like retail therapy to bring a smile to someones face. Especially mine! lol My LQS, Cherished Pieces was the recipent of said therapy. Petting fabric and ohhing and ahhing over it can be almost as good as ice cream on a hot day. We have been experiencing enough of those over the last few days. At 8:00 AM it was 22 Celsius with humidity it feels like 28 Celsuis, summer has arrived! The newest members of my stash are as follows. The light grey piece is Quilters Linen by Robert Kaufman. The green piece is songbird by Sue Beevers for Northcott. I love green anything green. The orange is Quilters Basic Perfect by Stof. The darker grey is Garden from the fushions collection by Robert Kaufman. The black is also from the fushions collection by Robert Kaufman. The gold is also from that same line by Robert Kaufman. I also took the plunge and bought this. I have a couple different graphic programs such as Photoshop and Corel Paint Shop Pro. 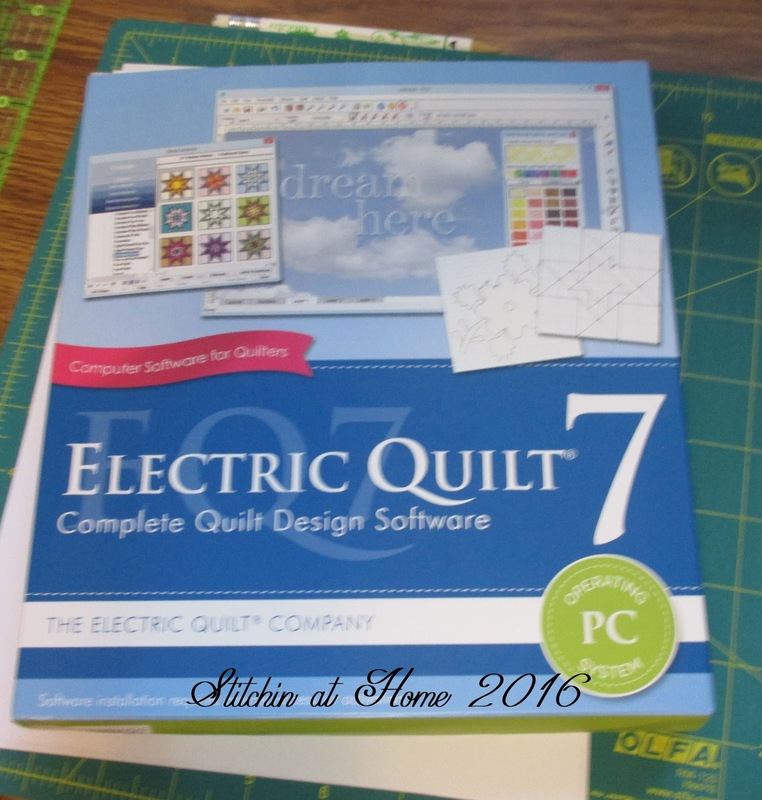 I can get around these programs relatively easy but EQ7 and I are not buddies at all. At least not yet. I see some visits to Mr. Google and you tube in my future. I would not describe this software as overly user friendly, but maybe that's because I haven't a clue what I'm doing. You can also still enter the giveaway for a copy of 'Crafted Applique' here. Please include your email address as I have had a number of no reply bloggers. Go to Lara's Blog 'BuzzinBumble to see the full list of the Blogs participating in the hop. Do you use EQ7? Any tips or favourite tutorials? Congrats on all your purchases. I also have been contemplating the EQ7 but have EQ5 and not sure if the extra expense is worth it. EQ7 is on my bucket list. I had EQ4 I think years ago, and had fun, but didn't play with it as much as I'd have liked, and yep, not that easy to navigate. I hear they haven't made much, if any improvements in that area...Tish says Google and YouTube help her. Your fabrics are GORGEOUS! Wow those Kaufman ones--!! 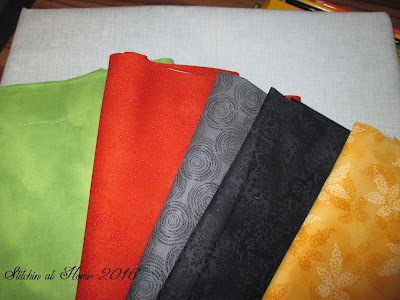 Fun and versatile fabric purchases Cindy! I'm curious about the Quilter's Linen. Is it 100% cotton? It won't take you very long to get the basics of EQ7 down and it's a lot of fun to play with! Melody you are a no reply blogger. What fun purchases. :) Looks like you and I were one the same page this week. I bought 7 yards of that Robert Kaufman Garden Circles in Steel as well. I am thinking it is going to be part of testing my first written pattern. Lovely purchases. Can you send some of that warm weather east???? We are freezing here in the rain. Those fabrics are gorgeous. So inspiring! Have fun with your EQ. 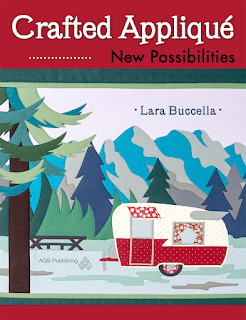 Crafted Applique: New Possibilities Blog Hop!